Shakespeare is a BIG name. A Huge personality that has left his stamp upon History. The search for the present whereabouts of such individuals using psychic means presents a number of obvious problems. Logic tells us that he would probably be found among the faceless, Fluoride drinkers, Aspartame addicts and Carbon Dioxide excreters of the genetically fashioned sub-human slave caste. But is that REALLY logical? And if he were to be found again among the ruling classes, there is a great likelihood that few people would know his name, unless he did something REALLY exceptional. While accessing the Akashic Records doing unrelated research, I came across a connection between William Shakespeare and David O. Selznick. However, the reading remains incomplete. It's clear that this cannot be an accurate match because Shakespeare and Selznick do not look very similar, based upon what we believe Shakespeare is supposed to have looked like. 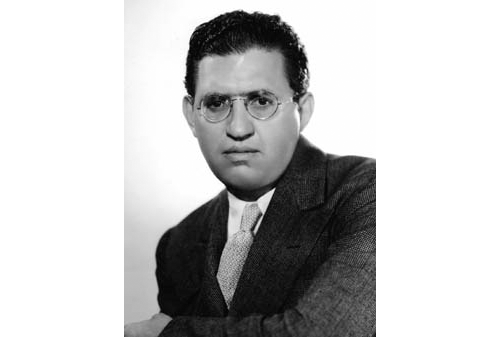 The only real conclusion to be made is that David O. Selznick is the key to vital information that would allow a further more accurate match to be made. This match would only be made with time, circumstances, further research and more information. Although, I made the David O. Selznick connection a number of years ago, it took a while for events to unfold and Time to catch up, further suggesting that higher consciousness works beyond the constraints of time. Film producer Scott Rudin will be the toast of Hollywood in January, 2011 when he is honored for his career achievements by the Producers Guild of America. The man behind movies like the Oscar-winning "No Country for Old Men" and "The Queen" will be the 2011 recipient of the prestigious David O. Selznick award at the organization's annual prize-giving on January 22. Previous honorees include Clint Eastwood, Brian Grazer and Jerry Bruckheimer. 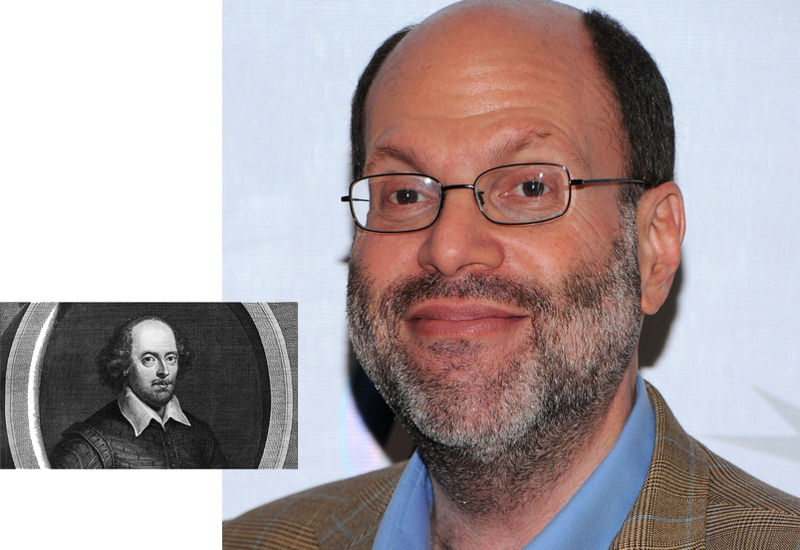 Scott Rudin was born in New York City, NY, on July 14, 1958, and raised in a Jewish family in the town of Baldwin on Long Island. At the age of sixteen, he started working as an assistant to theater producer Kermit Bloomgarden. Later, he worked for producers Robert Whitehead and Emanuel Azenberg. In lieu of attending college, Rudin took a job as a casting director and ended up starting his own company. His newly minted firm cast numerous Broadway shows, including Annie (1977) for Mike Nichols. He also cast PBS's Verna: USO Girl (1978), starring Sissy Spacek and William Hurt, and the films King of the Gypsies (1978), The Wanderers (1979), Simon (1980) with Alan Arkin and Resurrection (1980). Rudin is openly gay. 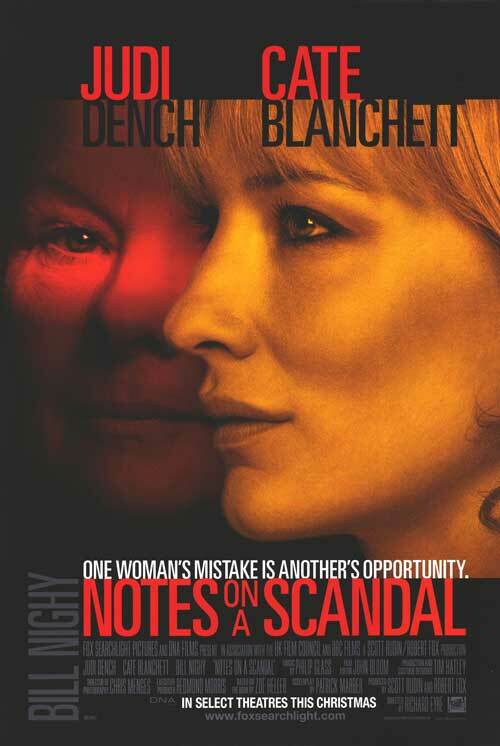 Notes on a Scandal is a 2006 British drama/psychological thriller film, adapted from the 2003 novel of the same name by Zoë Heller. The screenplay was written by Patrick Marber and the film was directed by Richard Eyre. The soundtrack was composed by Philip Glass.  Barbara Covett (Judi Dench) is a history teacher at a comprehensive school in London. A spinster nearing retirement, her comfort is her diary. When a younger, art teacher, Sheba Hart (Cate Blanchett), joins the staff, Barbara discovers that Sheba is having a sexual relationship with a 15-year-old student, Steven Connolly (Andrew Simpson), and confronts her. Scott Rudin was one of the film's producers. 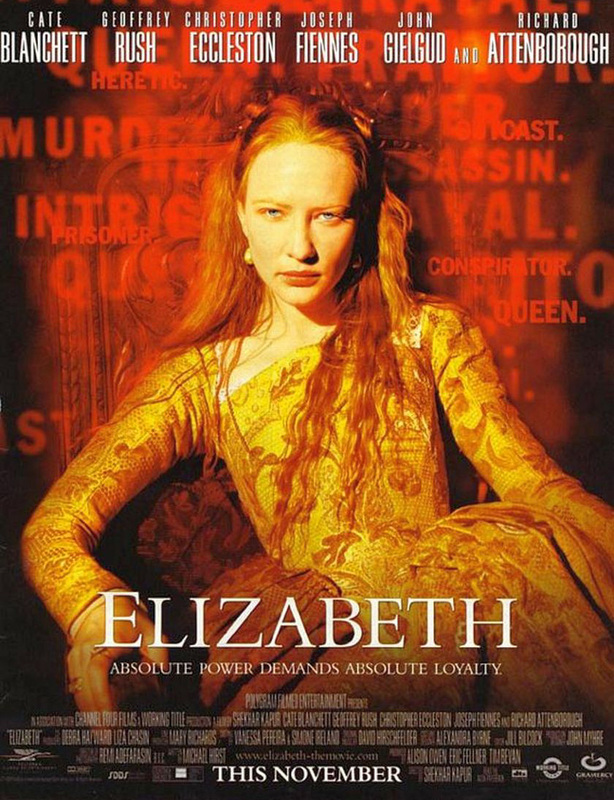 Elizabeth is a 1998 biographical film written by Michael Hirst, directed by Shekhar Kapur, and starring Cate Blanchett in the title role of Queen Elizabeth I of England, alongside Geoffrey Rush, Christopher Eccleston, Joseph Fiennes, Sir John Gielgud, Fanny Ardant and Richard Attenborough. 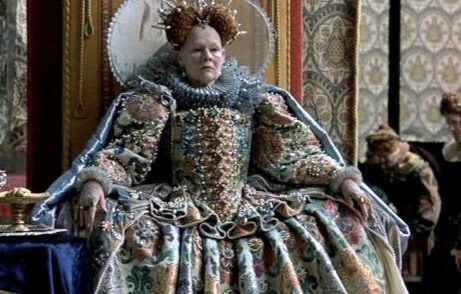 This 1998 film is loosely based on the early years of Elizabeth's reign. In 2007, Blanchett and Rush reprised their roles in the sequel, Elizabeth: The Golden Age, covering the later part of her reign. The film brought Australian actress Blanchett to international attention. She won several awards for her portrayal of Elizabeth, notably a BAFTA and a Golden Globe in 1998, while the film was also named the 1998 BAFTA Best British Film. Elizabeth was nominated in 7 categories in the 71st Academy Awards, including Best Picture and Best Actress, receiving the prize for Best Makeup. Shakespeare in Love is a 1998 British romantic comedy-drama film directed by John Madden, written by Marc Norman and playwright Tom Stoppard. The film depicts a love affair involving playwright William Shakespeare (Joseph Fiennes) while he was writing the play Romeo and Juliet. The story is fiction, though several of the characters are based on real people. 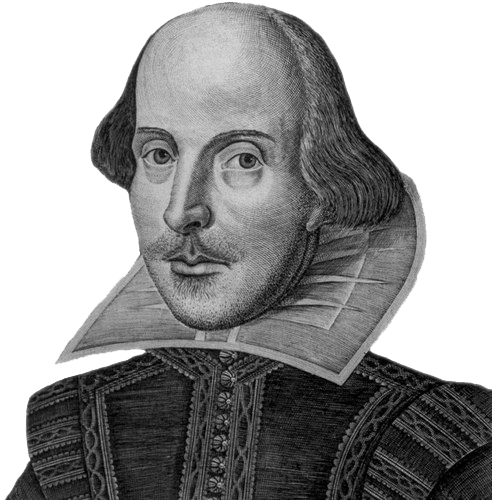 In addition, many of the characters, lines, and plot devices are references to Shakespeare's plays. Judi Dench’s roughly eight minute performance as Queen Elizabeth I in Shakespeare in Love was not the briefest to ever win an Academy Award; that record is still held by Beatrice Straight at six minutes for 1976′s Network. Because truth hides itself within many layers and because the dreamer rarely dreams the same dream twice, the search for truth NEVER ends. My only intention is to demonstrate a few interesting psychic techniques that are superior to channeling and intuition. Not to say that conclusions cannot be made, but understand that great discernment is needed in these matters. Skill in past life reading masks a greater skill that holds the key to the direct perception of TRUTH. Jeffrey Kent Eugenides (born March 8, 1960) is an American novelist and short story writer. He has written numerous short stories and essays, as well as three novels: The Virgin Suicides, (1993), Middlesex (2002), and The Marriage Plot (2011). The Virgin Suicides has been filmed, while Middlesex received the 2003 Pulitzer Prize for Fiction in addition to being a finalist for the National Book Critics Circle Award, the International Dublin Literary Award, and France's Prix Médicis. What is the past life connection between Rudin and Eugenides? Who really wrote Shakespeare's plays? 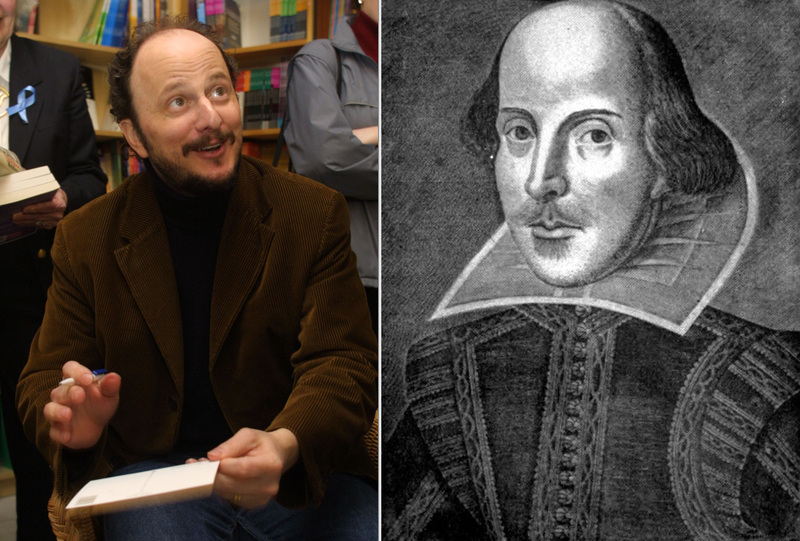 Was there a collaboration, a conspiracy or even more than one Shakespeare? The answers lie in the Akashic Records.